Abstract: Though intelligent self-balancing scooter industry has ushered in a development spurt, Airwheel still lead the tide. Among all the Airwheel products, S3 with its affordable price and multi-functions have won unanimous praise and enjoyed high sales since its release. Though intelligent self-balancing scooter industry has ushered in a development spurt, Airwheel still lead the tide. Among all the Airwheel products, S3 with its affordable price and multi-functions have won unanimous praise and enjoyed high sales since its release. As a classic electric self-balancing scooter, A3’s success is also attributed to many key factors. For electromobile riders, it is time to try the intelligent self-balancing scooters for a change. S3 relies on the same principles employed in the electromobiles. 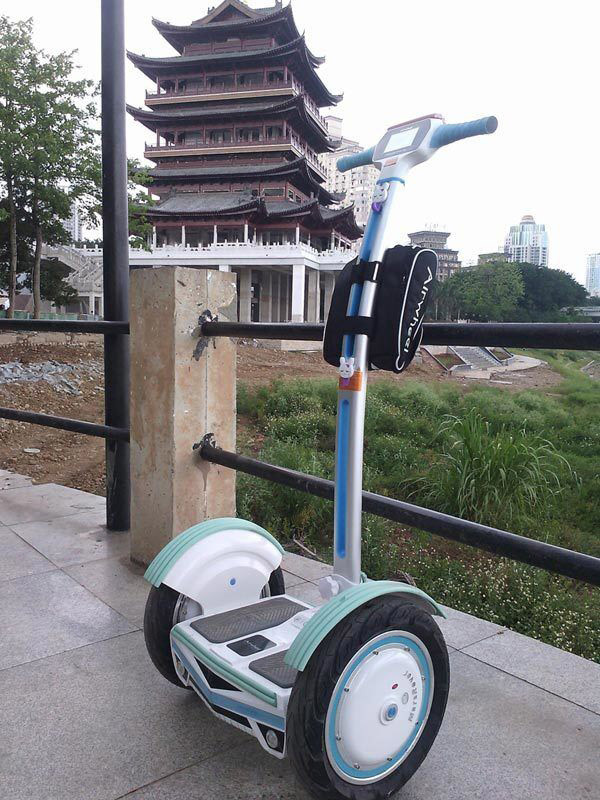 With regard to exterior design, most electric self-balancing scooters look the same. But what makes S3 stands out among the average intelligent scooter is its adoption of the wild Lamborghini style. At the first glance, it is very eye-pleasing. S3 is controlled in a different manner. Electric self-balancing unicycles are controlled purely by changing of center of gravity. It might be difficult to keep balance. In contrast, S3 is controlled by a handle and rider’s body movement together. S3 is composed of an operating handle, a standing board and two wheels. When riders stand on the standing board and lean forward, the intelligent scooter will move forward. Riders should avoid being nervous and they will find S3 move in quite a stable way. It could reach a maximum speed of 18 km/h. As known to all, electromobiles have led to many traffic accidents due to fast speed. 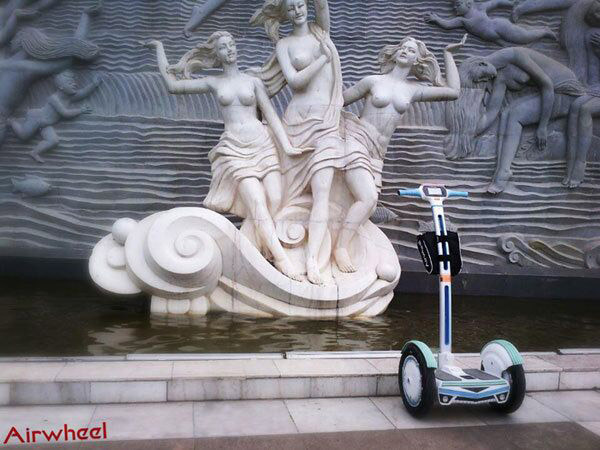 Compared to this, Airwheel intelligent self-balancing scooter is a safe product. There are four-fold of protection measures for riders, speed control, low battery protection, tilting protection and warning system. The quality materials chosen and creative functions also contribute to its success. The main body is made of magnesium alloy which appears high-end. An intelligent chip makes it respond quickly to rider’s body movement. It could also be connected by wireless remote control. In general, Airwheel S3 is a smart and powerful commuting vehicle. Airwheel Technology, a brand that is constantly improving, has proven to the world its ability through sales volume and technology.